Pipefitters perform a vital service in construction by assembling, installing, and maintaining the pipes used in heating, cooling, steam, lubricating, and processing systems. Their services are needed in any construction of commercial or residential buildings. They also work for utility companies, gas plants, chemical plants, oil refineries, and heating and cooling companies. Unfortunately, this exposes pipefitters to dangerous conditions at plants and construction sites where they often share the workplace with many other workers and companies performing jobs on the project—exposing them to even more hazards. However, workers’ compensation can help if they are hurt at work by providing compensation for their medical bills and lost wages while they recover from their injuries. Equipment hazards. Pipefitters must use welding torches and saws to alter the size of the pipes they are using. In addition, they work with other heavy equipment when grinding, threading, brazing, bending, and soldering pipes, exposing them to hot sparks, sharp cutting tools, entanglement risks, and crushing dangers. Hazardous materials. 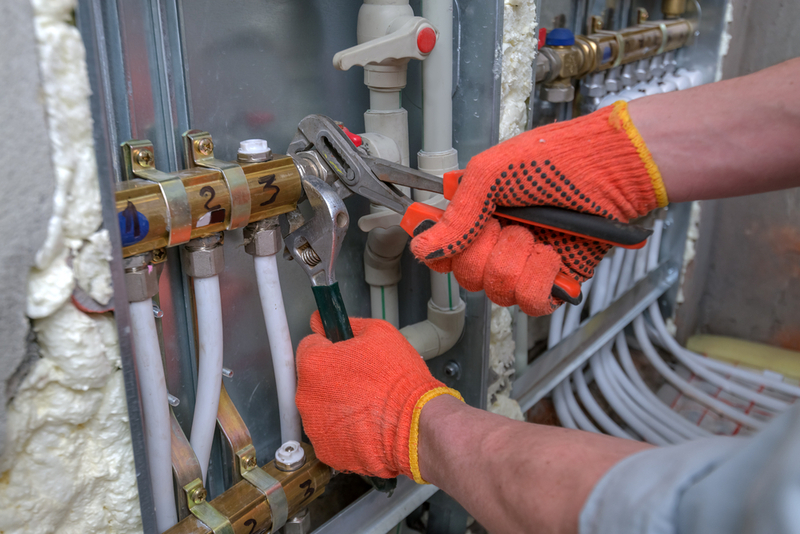 Some pipefitters work with refrigerants, oxidizers, flammable products, and other hazardous materials that can easily cause dangerous fires or explosions, cause workers to inhale toxic chemical fumes, or be splashed with dangerous chemicals. Particle release. When pipefitters hammer pipes to change their size or shape, metal particles can fly into the air and pierce the worker’s eyes or skin. Heavy loads. Pipefitters sometimes must carry heavy loads that can increase their risk of suffering musculoskeletal injuries affecting their tendons, joints, muscles, and other soft tissues—with chronic pain and limitations in their day-to-day activities. Falls. Pipefitters must work from heights when installing piping systems and can suffer falls from ladders, scaffolds, and building surfaces, especially when they are not provided with proper fall arrest protection like harnesses, webbing, and other fall protection gear. Falling objects. When pipefitters work on construction jobs or other work sites where other workers are working above them, they are in serious danger of tools, heavy construction materials, or equipment falling from above onto them. Crane accidents. When cranes overturn, fall, or drop objects, unsuspecting pipefitters can be seriously injured or die if they are in the way of the crane or an object it is moving falls on them. Forklifts. A pipefitter risks being hit by a forklift operator if a forklift operator does not see him or the forklift does not have an automatic signal alarm or flashing warning light. Vehicle accidents. There are many vehicles driving in and out of construction sites, resulting in any worker on the site—including pipefitters—risking a pedestrian accident. Trench accidents. Pipefitters must work in trenches and excavation sites. When they are not constructed properly or sufficient supports are not in place, the trench or excavation site could collapse, burying the workers inside. Were you injured in a pipefitter workplace accident? Was a family member killed? Unfortunately, you could be off work for long periods of time recovering from your injuries or could find that you can no longer perform the physical demands of your job. Even worse, the workers’ compensation insurance company for your employer could try to deny your claim for the workers’ compensation benefits you are entitled to—all in an effort to save money. That’s why you need an experienced workers’ compensation attorney to help you fight for what you deserve. I have been assisting workers like you for over 20 years and understand the tactics these insurance companies employ to deny benefits—and how to fight back. I urge you to start an online chat today to schedule a free evaluation of your case.